It's been a while since I blogged - so let me catch you up to what's happening then I'll digress to all we've been doing so far. We're in Amsterdam and have rented a small flat for a month near to Meredith and Elliot. The raison d'etre is that we're here awaiting the birth of Meredith and Elliot's baby. Now let's back track to how we got here. Our flight from LA to Amsterdam went smoothly with no hitches, aside from a small disappointment at the TSA gauntlet, when we discovered that our new Global Entry pass doesn’t allow for TSA pre-check - that’s only for domestic flights. So shoes still had to come off, belts undone, computers put on the trays, blah-blah-blah. Disappointing indeed! We thought that with our new Global Entry we'd just waltz pass all that. Arriving at Schiphol was a familiar affair. The airport is such a convenient and easy hub. After picking up our bags, it was great to see Elliot waiting for us just outside the Dutch customs. We headed to a nearby cafe to exchange some goodies we had brought while he brought us our new train passes and a Dutch cell phone. He then took us to the train platform headed for Purmerend. 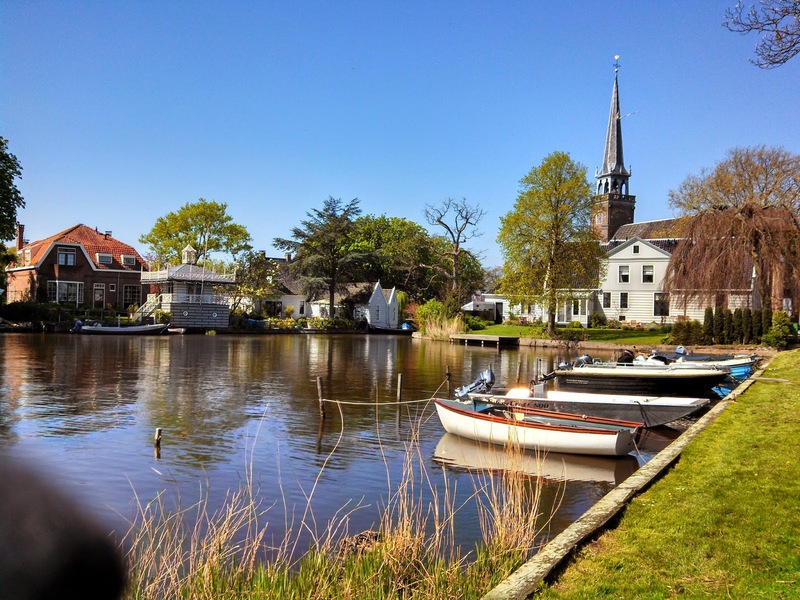 With no spare room at the M&E B&B, we were staying with our friend, Maarten, in Purmerend just north of Amsterdam. On the other end, Maarten was waiting for us at the Purmerend station. The last time we’d seen him was last October, after dropping him off at an Airbnb in Brooklyn. It was good to see him again. A nine hour difference in time is not an easy change for the body. Just when it’s time to get up here in the Netherlands, is when we’d be turning off the lights to go to bed back home. The first couple of days are just downright hard. 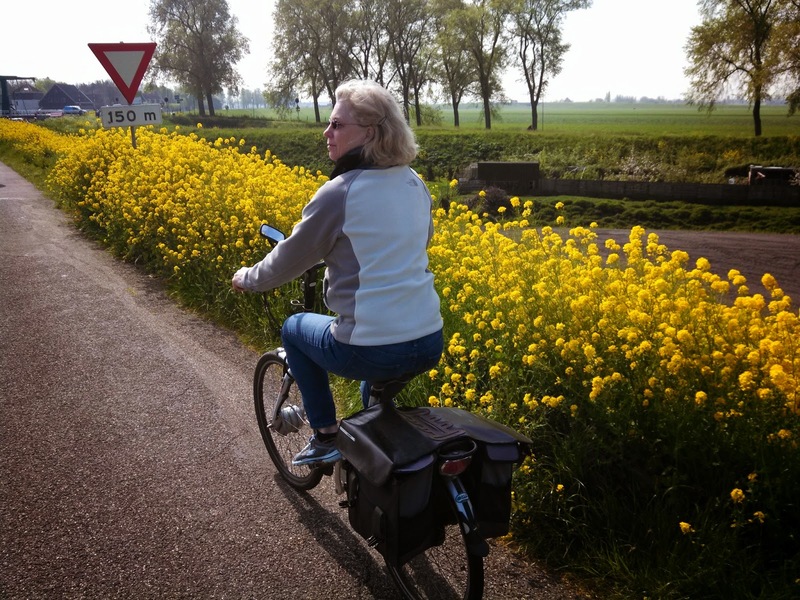 On Saturday Maarten, Diane and I took a wonderful bicycle ride around the Purmerend area. 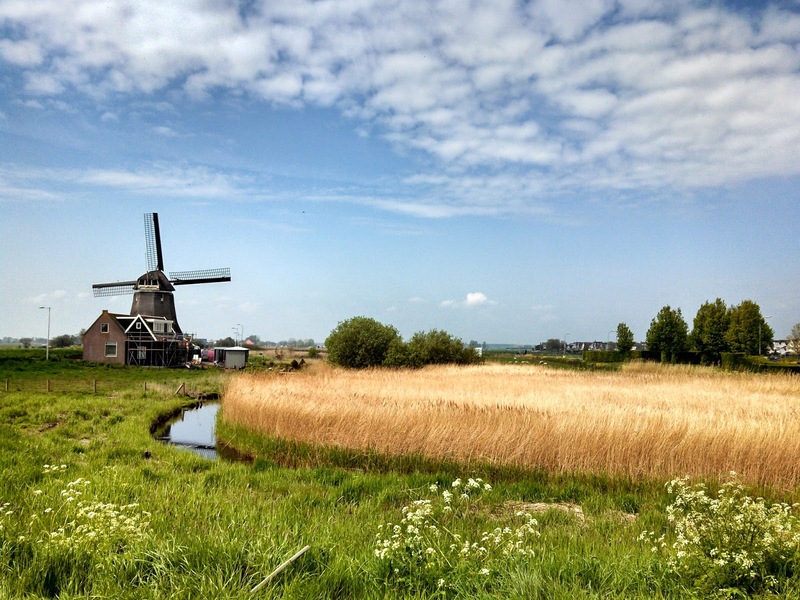 We rode on the polders past bucolic farm scenes and through wooded trails. Thus sometimes we’d be riding along a levee, on one side a small canal, while on the other side there were cows and sheep grazing twenty feet below us. Quite a spectacle. 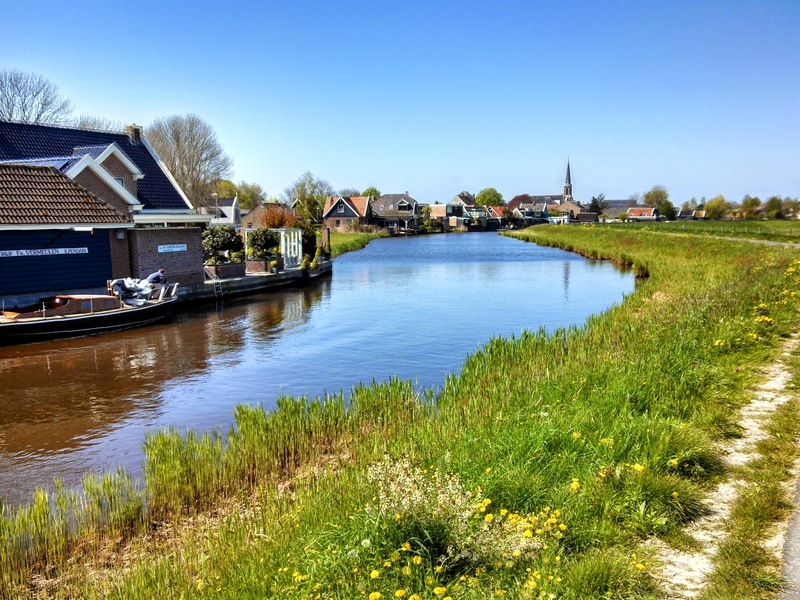 The village of Ilpendam, near Purmerend. 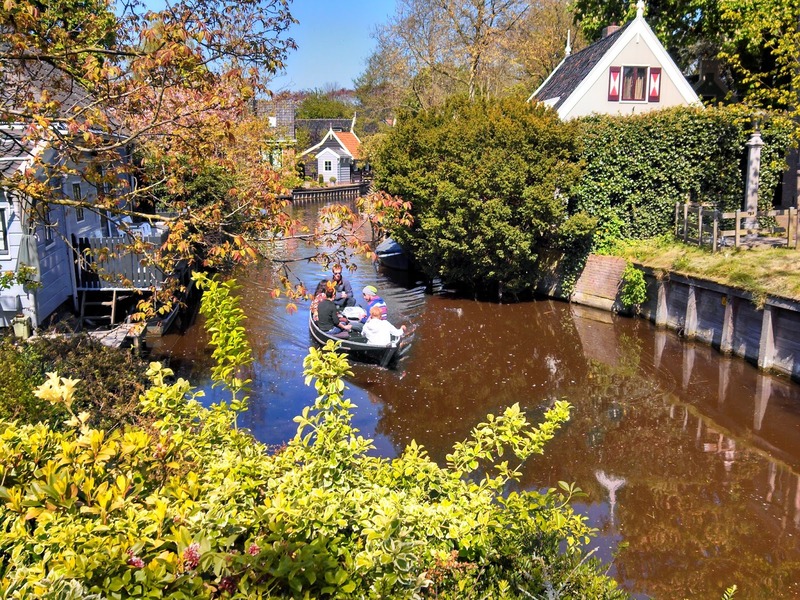 Boating in the small canals. 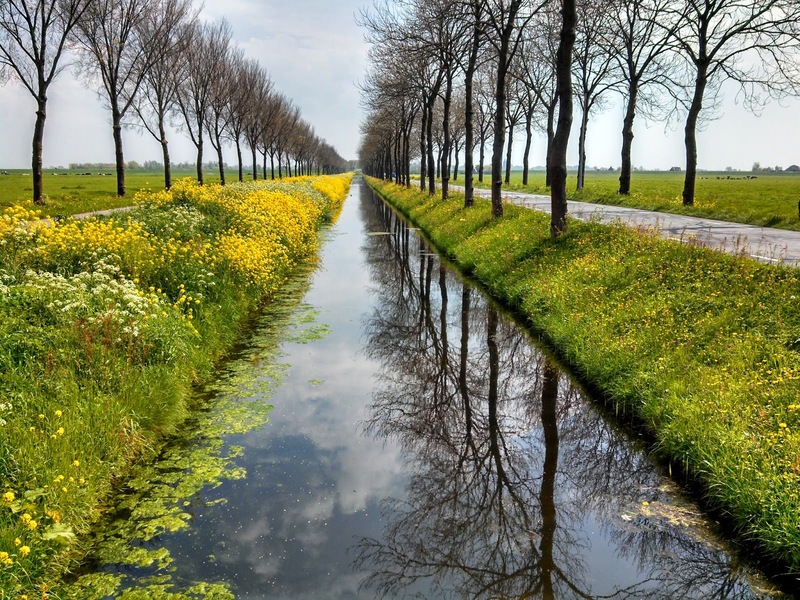 Riding along a canal on a polder. The following day was Easter Sunday. The morning started out with an Easter egg hunt, held at the playground just outside of Maarten’s home. Hanne, Maarten’s daughter, came over with her three children, who were all extremely eager for the Easter egg hunt to commence. Soon a chubby yet tall and (to me) scary looking rabbit showed up. He took the smaller kids for a walk to search for eggs - the older kids looked for hidden eggs afterwards. When the searches were over, all the eggs were combined into one big pile and divided evenly between all the kids. Medals were given out to the kids who had found the most eggs. Maarten's grandson running to find hidden eggs. Family photo-op with the Easter Bunny himself. At the conclusion of the Easter egg hunt, Diane and I went to visit Meredith and Elliot. They had lunch awaiting. After a savory salmon and black rice lunch, we headed out to a park where an organic market and other eco-friendly goodies were being sold. Lots of yummy things to taste. Afterwards, we stopped at a café for a beer. 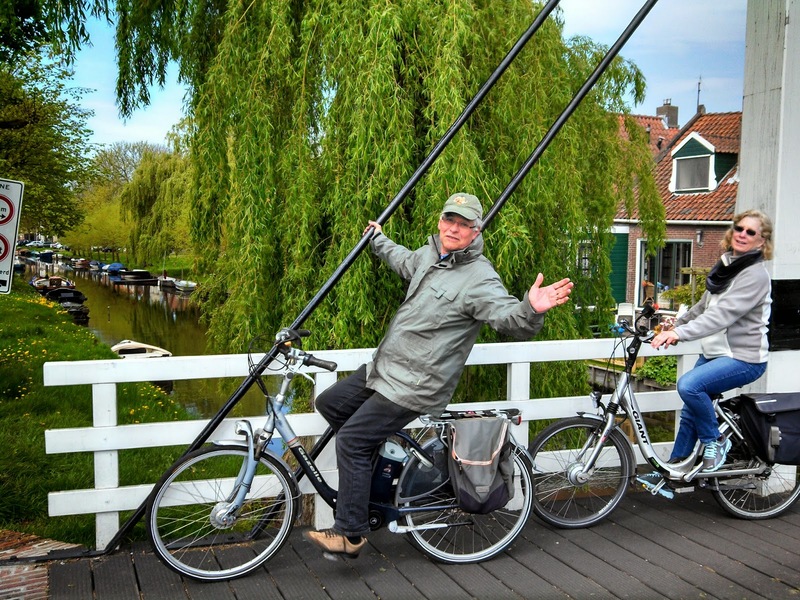 The sun was out, so every Amsterdammer was out soaking up the rays riding their bikes, taking walks in the parks or sipping a brew at a street cafe. When the sun is out, it’s no time to be inside. At the organic market in Amsterdam. Taking a break at a cafe. Wednesday morning’s sunshine burst in through our windows. The weather demanded a bike ride. 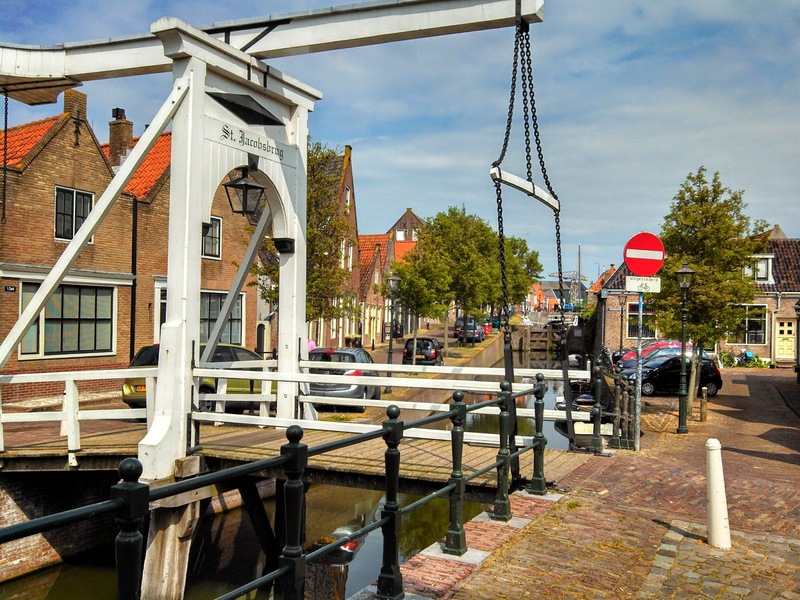 Thus, soon after breakfast, we packed a light lunch and headed out for a long loop through the villages of Edam, Volendam and Monnickendam. 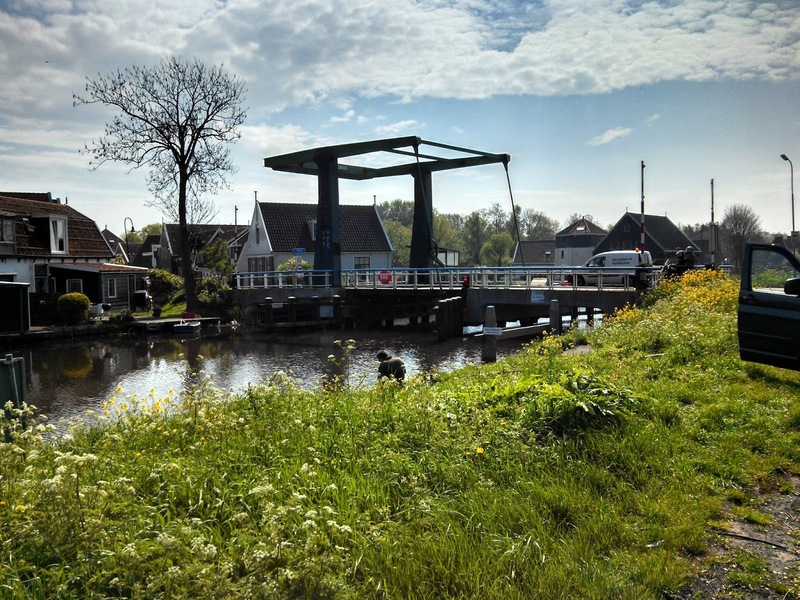 Round trip it was about a twenty mile ride through villages, past farms and along canals, boats and polders. Very scenic and all very flat. 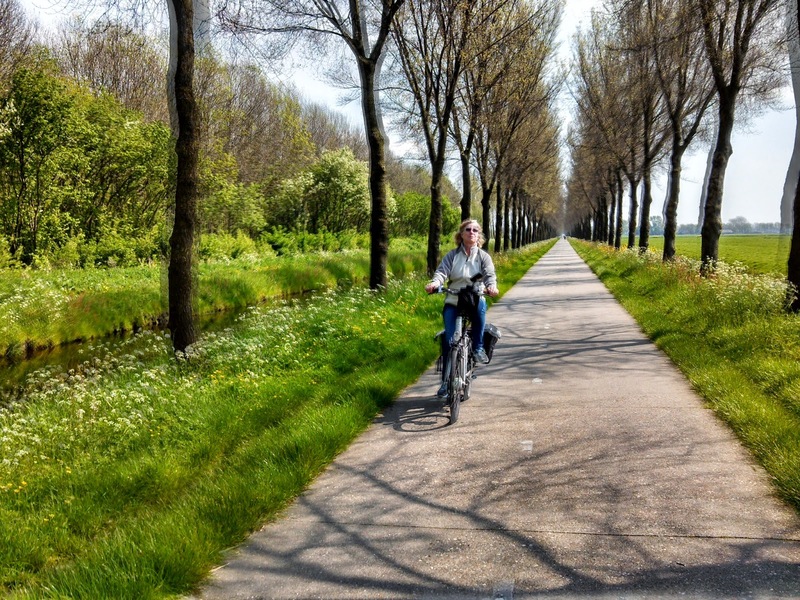 Diane riding on one of the bike paths along a canal. Maarten and Diane in Monnickendam. So happy to read the blog again. Beautiful photos as always!